Titan Power, Inc, in Phoenix, AZ designs, installs and maintains all components of uninterruptible power systems (UPS) and batteries. They are distinguished within the industry for their rapid response and thorough system inspections. A recent client response scenario illustrates a number of reasons why Titan Power customers are so loyal. Phoenix Fire Department’s intervention. Within minutes of receiving the emergency dispatch, Titan’s experienced technicians were on site. 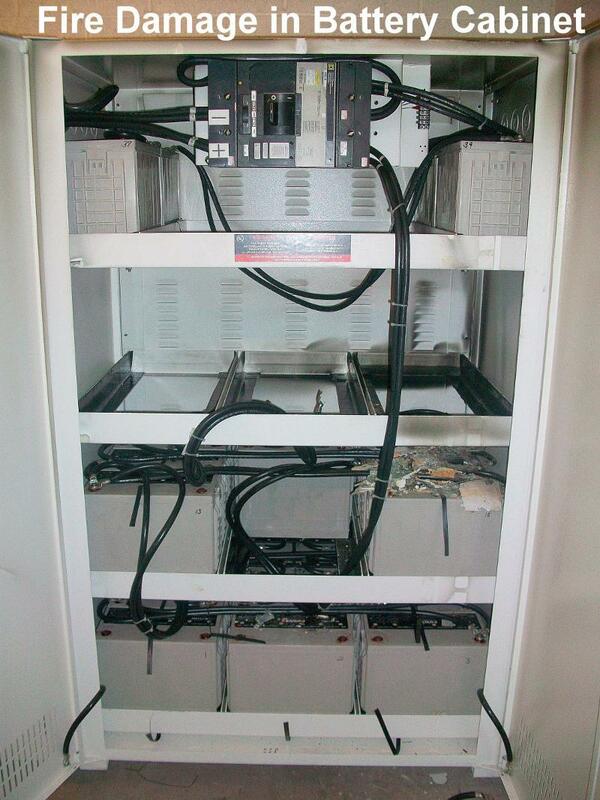 Upon review it was discovered that the fire had originated in the battery cabinet, and that the manufacturer’s representative had not performed a thorough inspection of the batteries just two weeks prior to the fire. One or more batteries in the “string” were not functioning properly, and the result was a fire and “thermal runaway,” which was caused by the extreme heat generated by the failure. 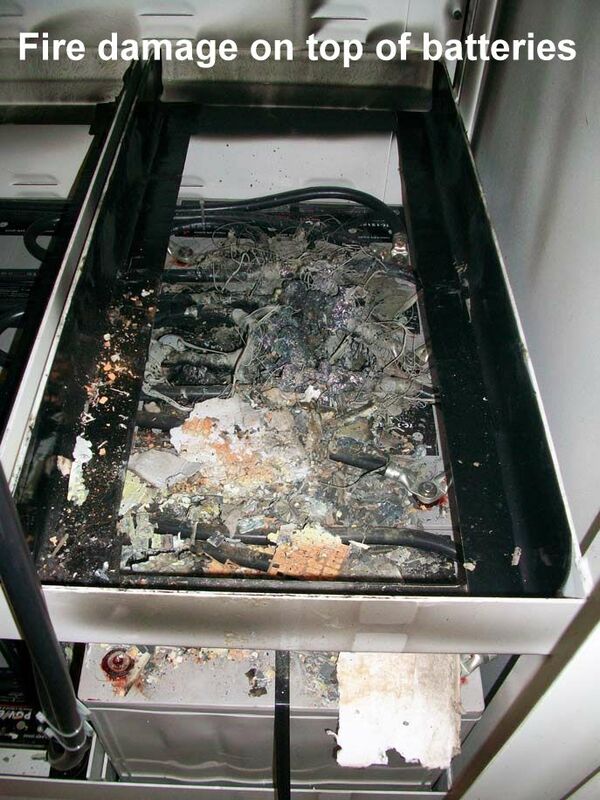 Titan Power ordered replacement batteries on the spot, and was able to remove the fire-damaged debris, deliver and install 160 new batteries within 24 hours. The customer’s interruption of critical services was held to a minimum, due to Titan Power’s outstanding supplier relationships and their culture of responsiveness. Read entire article. Contact Stephen Berney, Director of Marketing: sberney@titanpower.com, or 480-968-3191 x102 for more informaiotn. This entry was posted in Back-up Power Industry, Company Misc., Data Center Construction, Employee News, Facility Maintenance, Mission Critical Industry, Technology Industry, Uninterruptible Power Supply and tagged Arizona, Crytical Systems, Data Center, Data Center Construction, Emergency Power Systems, Mission Critical, Technology Industry, Titan Power, Uninterruptible Power Supply, Uninterruptible Power Systems, UPS, UPS Batteries, UPS Systems. Bookmark the permalink.